It’s a rich long weekend of music and dance performance at Bates as the college’s choir and its Modern Dance Company hold a total of six performances over four days. The Bates College Choir performs Mozart’s “Requiem,” the composer’s final work and one of the most intense and finely drawn interpretations of the Roman Catholic Mass, in concerts at 8 p.m. Friday, March 31, and Saturday, April 1, in the Olin Arts Center Concert Hall, 75 Russell St. The concerts are free and open to the public, but tickets are required. For more information, please call 207-786-6135. Featuring work by students in the course “Dance Composition” and videos from the course “Atelier,” Program A is offered at 8 p.m. Friday, March 31, and 2 p.m. Sunday, April 2. Program B features dances made by students in an advanced composition seminar, by faculty member Sarah McCormick and by Bates dance program director Carol Dilley, who collaborated on a piece with choreographer and teacher Jill Spiewak Eng. The program is offered at 8 p.m. Saturday, April 1, and Monday, April 3. Tickets are $6 for the public at large and $3 for seniors, children and full-time students. For reservations, please call the Schaeffer box office at 207-761-6161. 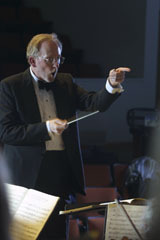 The college choir is directed by John Corrie, lecturer in music and a member of the Bates faculty since 1982. For the Mozart program, the 80-voice choir will be accompanied by a 25-piece orchestra. Mozart composed most of the “Requiem” on his deathbed in 1791. A masterpiece of the choral repertoire, the work is “an unlikely but unforgettable alloy of ecclesiastical grandeur, Baroque fugue and the subtlest mood painting,” wrote a Portland Phoenix reviewer in 2001. The Modern Dance Company, meanwhile, includes 40 student dancers and 11 student choreographers from the two composition courses, as well as five video artists from “Atelier,” a course in the music and dance programs that explores the use of high technology to foster creative collaboration. Sarah McCormick received her bachelor’s degree in world arts and culture from the University of California, Los Angeles, and her master’s from State University of New York in Brockport, where she has taught as an adjunct lecturer. 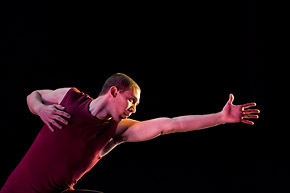 McCormick studied with Bella Lewitzky and Alwin Nikolai, who both encouraged her to choreograph. Her company Tyndale/Sarah Pogostin produced works in New York and abroad. Her work has been featured at various universities and festivals including the Bates Dance Festival. Carol Dilley joined Bates College in 2003. She has been an international choreographer, performer and teacher for nearly 20 years, based in New York, Barcelona, Seattle, Australia and now Maine. She has performed with many companies and choreographers, directed two companies of her own and founded performance series in Europe and Australia. Dilley continues to make work internationally as well as locally. Recently she premiered a piece with the National Dance Company of Costa Rica, and will soon begin a piece for the Dirty Feet Dance collective in Sydney, Australia. Jill Spiewak Eng has studied, performed and made dances in Boston, North Carolina, New York City and Maine since 1989. She founded a dance collective in North Carolina called Independent Dancemakers in 1996. She teaches dance at New Dance Studio, Portland, and has taught at Bates and Bowdoin colleges.